The Year 7 Orientation Camp takes place in late February and is 3 days in duration. Building confidence, trust and cooperation is a vital part of the transition process and the year 7 orientation camp aims to facilitate this. Students and teachers have the opportunity to appreciate each other in an outdoor setting away from the school routine. New friendships are formed and a real sense of belonging begins to flourish. Year 7 Camp is held at the Philip Island Adventure Resort and is a great opportunity for students to develop their relationships with their peers, staff and Peer Support Leaders. There are a range of activities on offer that test their team work, leadership and communication skills, as well as ones that are pure fun. 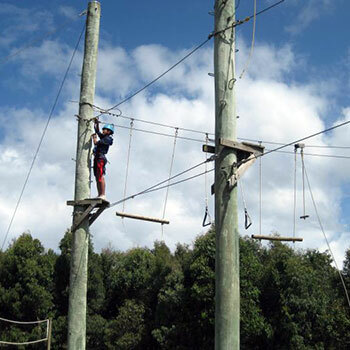 Activities include high ropes, flying foxes, raft building, laser tag and the A-Maze n Things’ activity centre. All students are encouraged to attend as the camp assists with the transition from primary school into secondary school.